The Encyclopedia of Guitar Chord Inversions book takes you through the world of chord inversion towards that place where all chords are created equal, all have their place and time, and most importantly, all are finally understood in the hidden world of jazz guitar. Brian Balthazor is the author of this book and is an old student of mine. 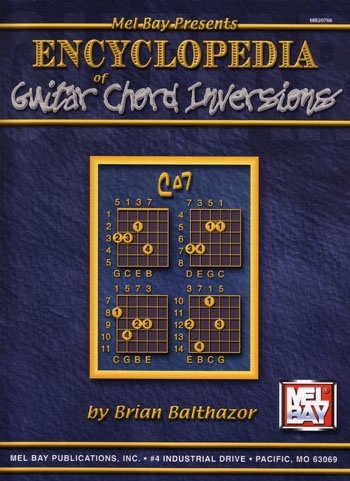 He combined his musical knowledge with his understanding of computer logic and with this book explores the ins and outs of chord inversion. All of the chords have clear diagrams and all of the keys are covered. If you've worked with my Sprague Technique book and my exploration of chord inversions, this book follows the same logic and actually diagrams all of the chords I talk about. Mel Bay is the publisher for this collection and it's a first class production all the way.